Mineral insulated thermocouples are used in the industry to measure temperatures at difficult-to-reach places, since they are extremely flexible and allow a high degree of measurement accuracy. 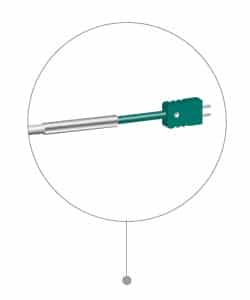 High-quality thermocouples also have a long life time. This is an indispensable product with a large variety of applications in industry and research. 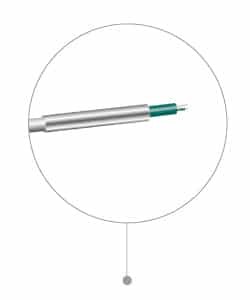 Some compositions are as a standard design, but most sheathed thermocouples are produced customer-specific in all conceivable designs. 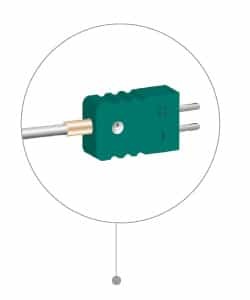 The composition of an individual thermocouple is remarkably simple and comprises six parameters. Mineral insulated thermocouples are used in the industry to measure temperatures at difficult-to-reach places, since they are extremely flexible and allow a high degree of measurement accuracy. High-quality thermocouples also have a long life time. This is an indispensable product with a large variety of applications in industry and research. 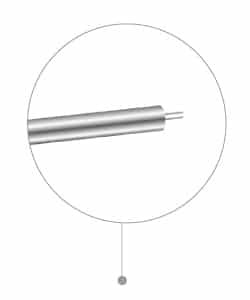 Some compositions are as a standard design, but most sheathed thermocouples are produced customer-specific in all conceivable designs. The composition of an individual thermocouple is remarkably simple and comprises six parameters. *Types C and D and their colour coding are not subject to any official standard. Sie suchen ein spezielles Mantelmaterial für Ihre Anforderungen? Dann freuen wir uns auf Ihre Anfrage!